Providing outstanding foundations throughout the Emirates of Abu Dhabi, APT is proud to say that we are now one of the leading and fast-growing Specialist Piling Contractor in the Emirates established last April 2005. We’re here to delivery the right piling foundations for your projects, safely, timely and budget-friendly. 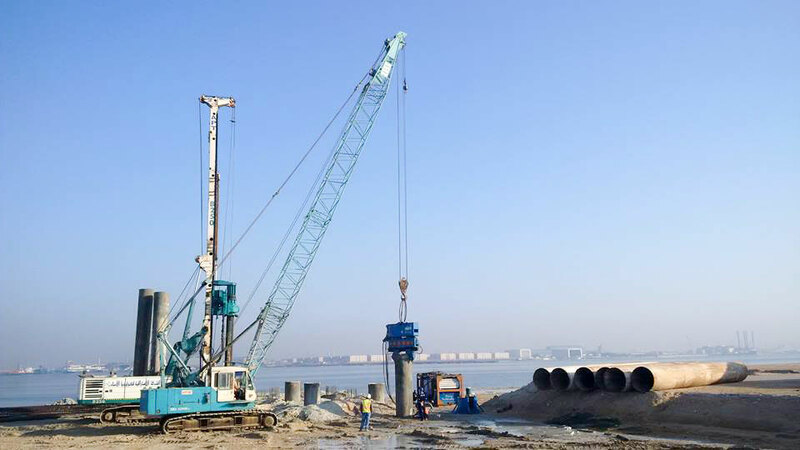 We offer a comprehensive range of piling solutions designed to meet all kinds of requirements and provide effective solutions for many piling projects. We have the resources and rigs to meet the needs of any project, on any scale, anywhere. We offer a full range of specialist foundation Services including Mini piling, large bored piles, CFA piling, sheet piling, underpinning, grouting, pile testing geotechnical engineering and foundation solutions. We have an extensive fleet of well-maintained cranes, drill rigs, and pile driving equipment, and we continue to extend our ability to offer the best solutions to your deep foundation needs.